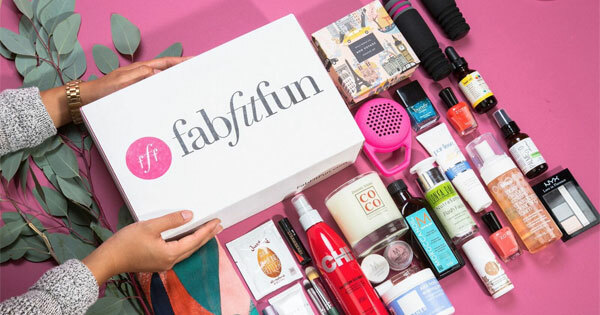 FabFitFun is more than just a subscription gift for Mom. It’s a community and workout curator to boot. This quarterly subscription delivers a wide-range of products, including makeup, clothing items, skin care, and more. At $49.99 (including shipping), this isn’t the least expensive box out there, but it has been described as getting the most bang for your buck. These are not shrimpy sample size items that many women’s boxes out there are based around. You can’t go wrong with FabFitFun. Therabox is a box geared towards happiness. Therebox is designed by therapists with the specific goal of making you (or, in this case, Mom) happy. And, what mom doesn’t deserve happiness? This box stands out from others, as it is more than just a grouping of items. Yes, your mom will get 5-7 curated items designed to aid relaxation, stress reduction, and self care. But, this box also comes with an activity that has been scientifically proven to boost joy and peace. How cool is that? And, they say you can’t put a price on happiness, but you can; and it is only $34.99 per month. And, then there are the moms out there that mix their relaxation with caffeine and the occasional snack. Match Made Coffee has unique gourmet cookies created each month that pair with specific, small batch coffees. If your mom enjoys morning coffees, or needs a little pep for her day, Match Made Coffee is your go to subscription box. Starting at just $19.95 (shipping included), you would be crazy to deny mom of that extra pep in her step. Flowers are always a great gift idea when it comes to Mom. But, who knew that you could get flowers as a subscription? Well, now you do. Since flowers are always welcomed, but do tend to go bad after awhile, this will insure that your mom’s house will always be fresh, vibrant, and delightfully scented. Starting at just $31.41 (shipping included), you are getting great prices for these professionally arranged and curated bouquets. WINEDOG is a very unique box, and you will know right off the bat whether this is for your mom or not. Does your mom like wine? Does she have a dog? If you answered yes to both of those questions, then this is undoubtedly the box for her. Each box comes with treats and toys for Mom’s fuzzy companion, as well as her. This is an adorable box, that starts at just $35 per month, and also donates a portion of its proceeds to help dog rescues find their forever homes. So, do you owe your mom a birthday gift, Mother’s Day gift, or just want to show her how awesome she is? With any of these subscription gifts for mom, you can’t go wrong.